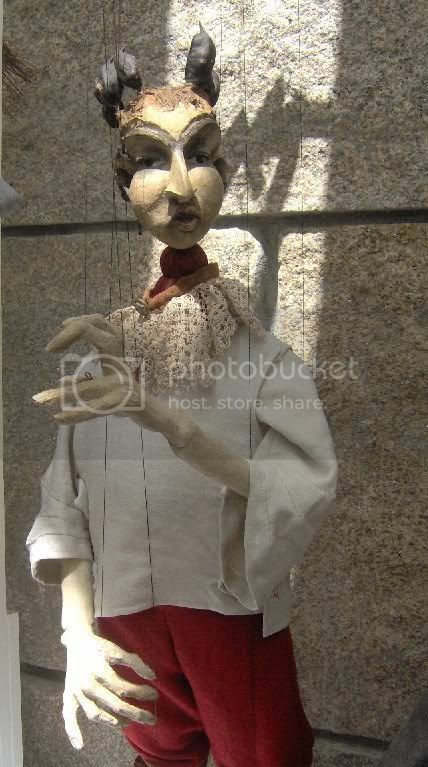 As promised, today I went back to the Marionettes exhibition and asked if I would be allowed to take pictures. And well, I was! The name of the artist responsible for these wonders is José Jorge Cerqueira, and unfortunately it appears that he doesn't have a website. It's too bad, because he really should get the kind of exposure the internet provides. And also, I would love to find out more about him: what else he has done, if any of his work is for sale (not that I'd be able to afford it, but one can dream), etc. 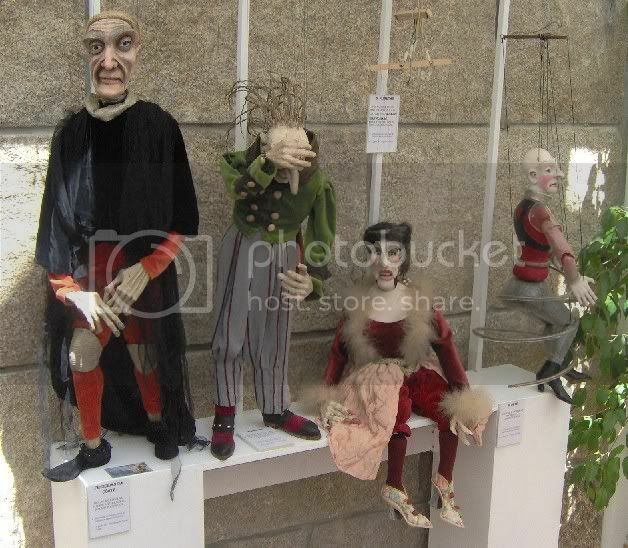 The information plaques under many of these marionettes explained how they were inspired by traditional fairy tale characters, or Narnia, or sculptures of gargoyles. 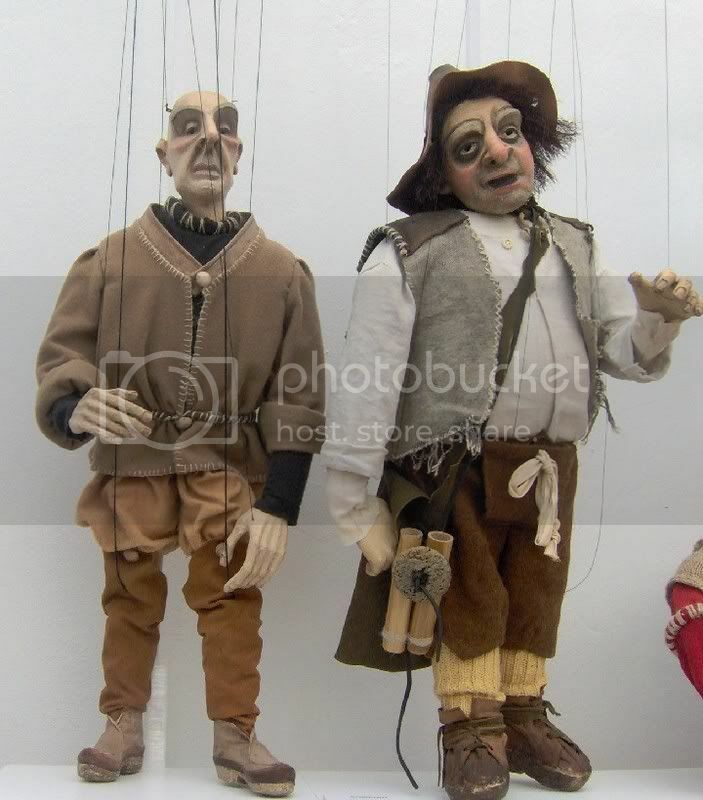 I really love marionettes. 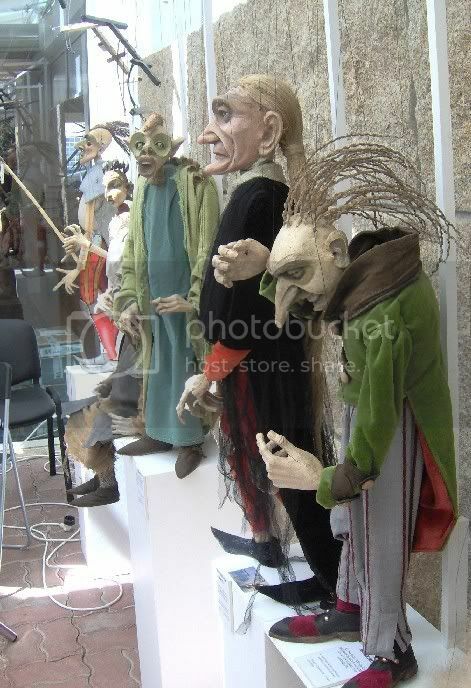 I love how, if they are well done, they seem about to come alive at any moment. About these in particular I love that, much like the photography in Carl's post today, they make me want to pick up a pen and write a story - write their stories, perhaps. These are well done! That's too bad the artist has no website. He would probably bring in a lot of business that way. Oh wow! Those are amazing! Do you know if he's ever done shows with them? I would love to see them in person...or see them come to life. They look so real. Very inspiring. I second literary feline's thoughts...it's too bad he doesn't have a website. 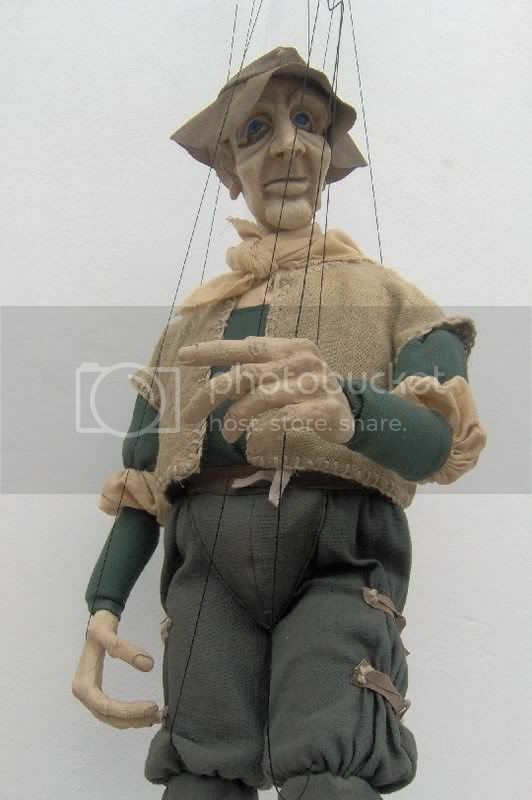 I'd love to buy something of his...even if it was a print of his marionettes. Beautiful work. Your very lucky to get to see them in person ;) Thanks for sharing these with us and for taking the photos! 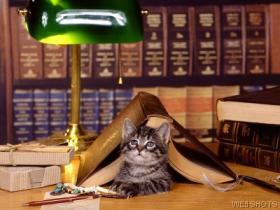 literary feline: He really could! I wonder if he's just someone who doesn't know much about the internet. 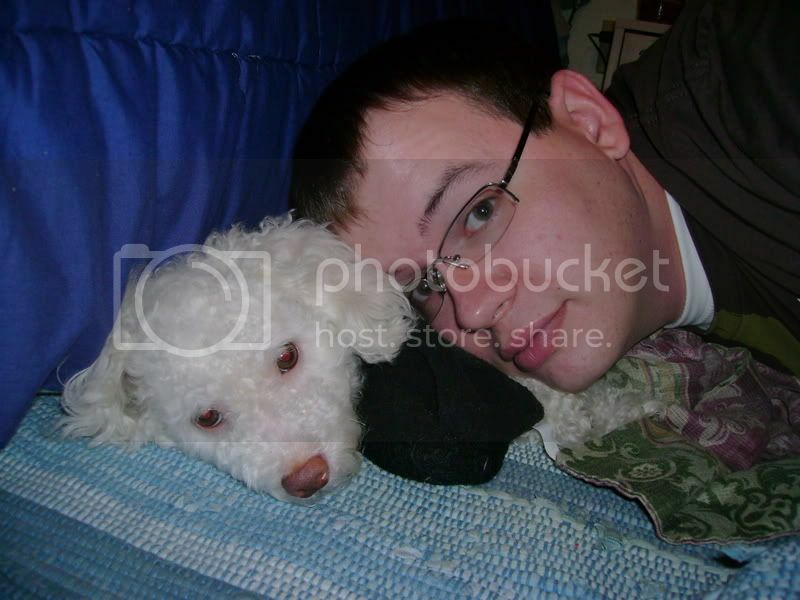 I wish I knew more about him! And no problem :) I really wanted to share them because I thought they were the kind of thing some of you would really like. I really like the first one. 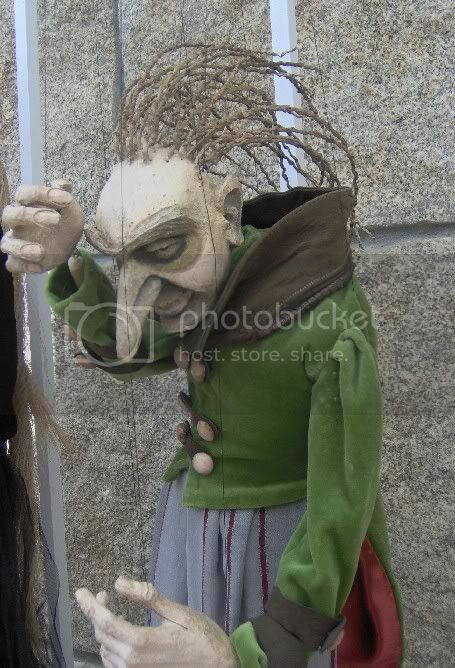 Somehow a cross between a witch and a bent old man from a fairy tale. I agree seeing them in a show would be amazing! 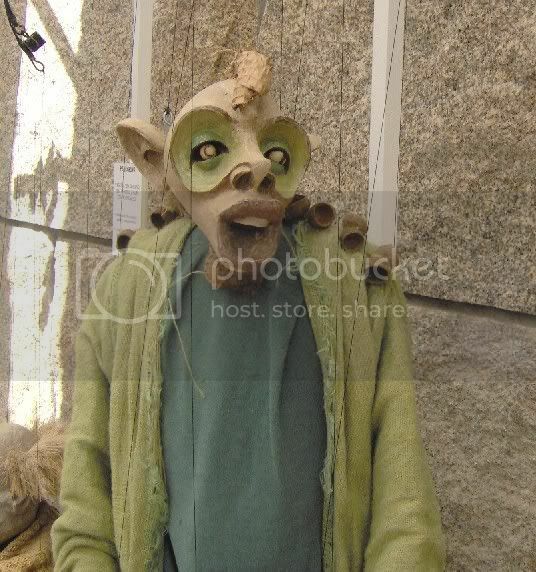 There is a local band in Croydon where I live that sometimes have a puppet show as part of their act. 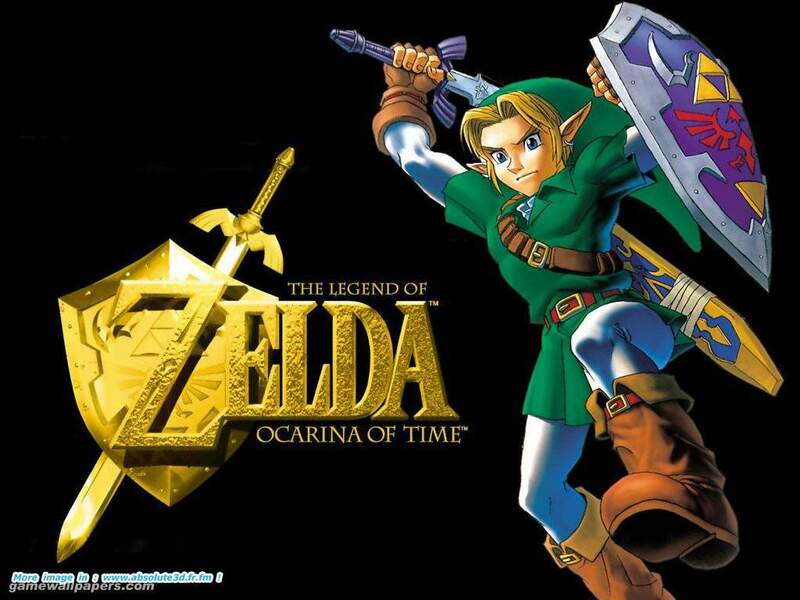 I haven't seen it yet but my husband raves about it! Those are great! I especially like how he captures such detail in the facial expressions. 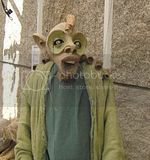 Rhinoa: that one really reminds me of the Green Man myths... an old and wise being that is also wild and untameable... I love it. You should go and see their act - and post about it later, of course. Kim: I love their facial expressions, and also their hands, how they're a little oversized but realistic at the same time. 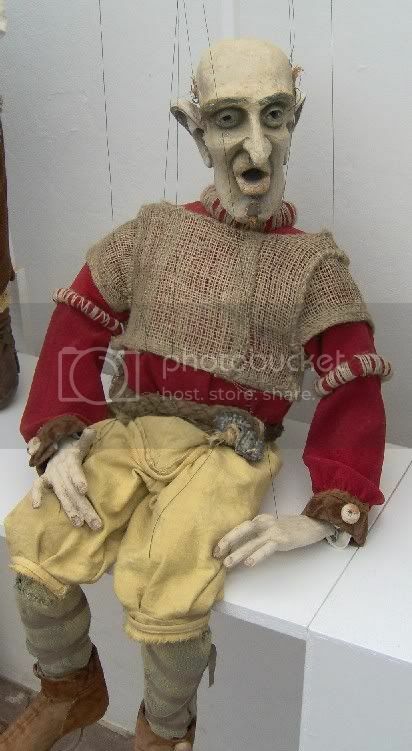 I have always liked marionettes as well...partly because of the creepiness factor, I must admit. These are great. 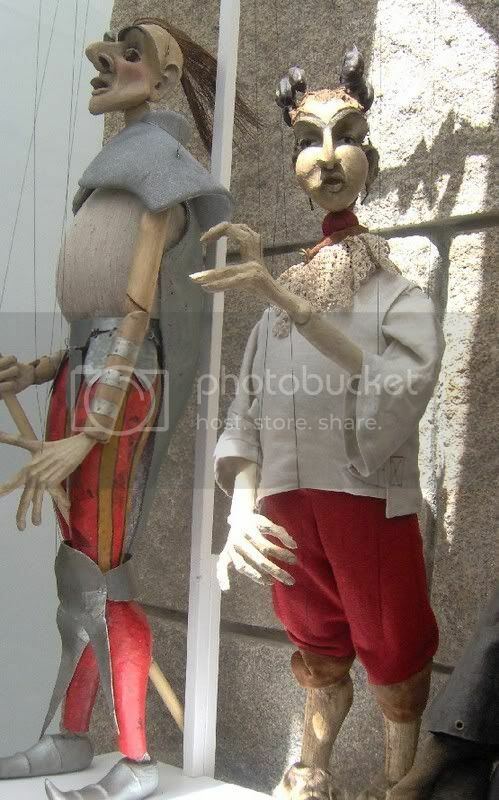 Years ago I saw a snippet of an opera performed with marionettes on one of those university television stations. I found out what it was and actually found the DVD on Amazon. I thought I had saved it on my wishlist and now it isn't there. Doh! Hopefully some clue will come to mind and I'll be able to track it down again. 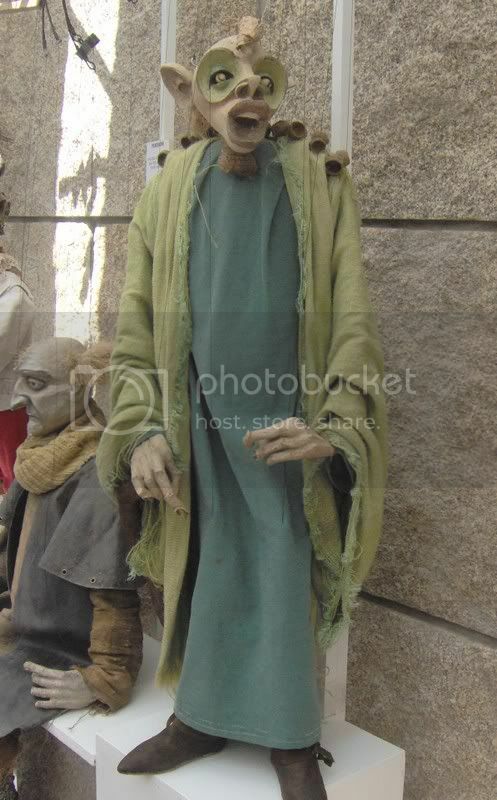 In the meantime, check out this old post of mine with pics of the work of one of my favorite marionette artists. Carl, I have just fallen in love with Scott Radke's work. Thank you so much for sharing! 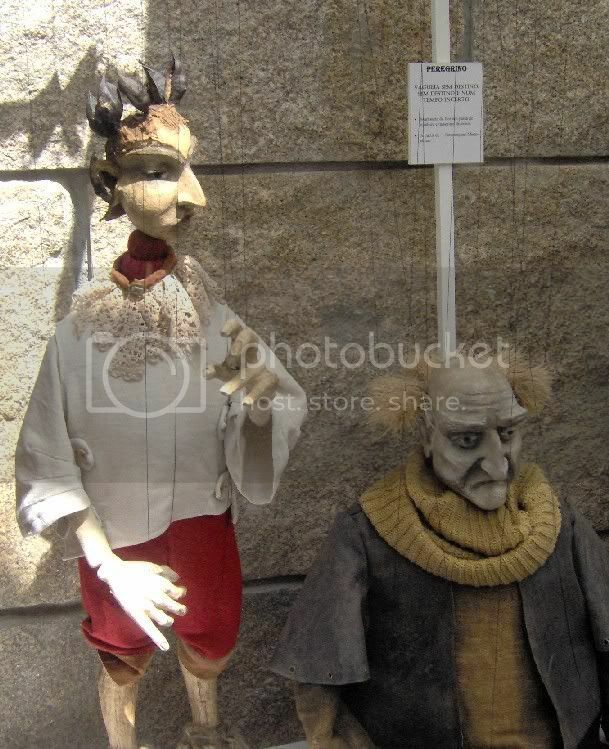 I'm the author of the marionettes you seemed to like so much.I read your blog and I was surprised when I saw the fotos of my marionettes.How did you find them in Braga? 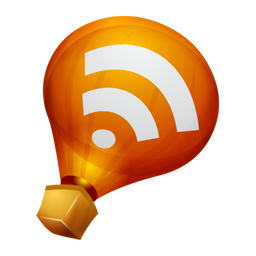 I don't have a website but I have a blog since yesterday. 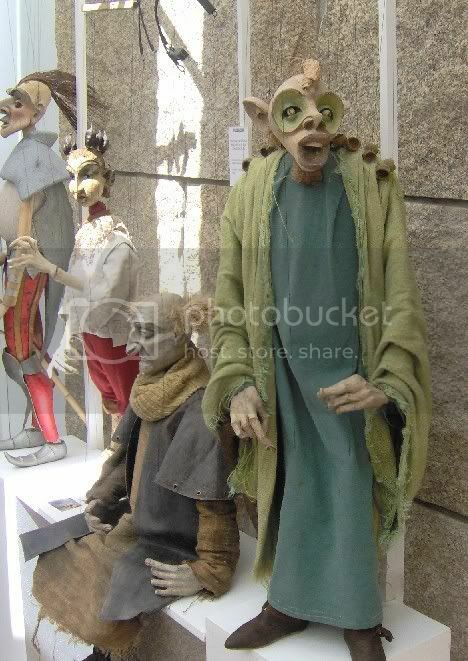 Were yuo in Braga last summer? I don't speak English...I can read and understand some setences...but it's dificult for me to write correctly,I asked a friend to help me. 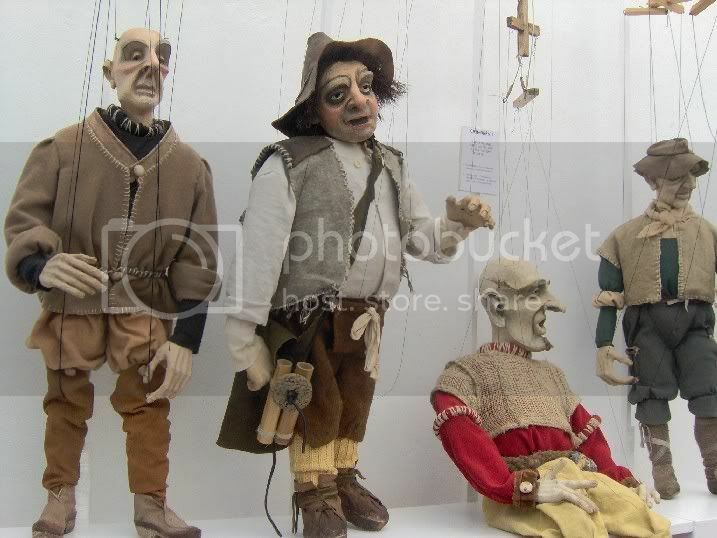 Thank you for sharing my marionettes with your friends. Tina, Jorge: ooops, sorry that I missed these comments! I have e-mail notification on but it doesn't always seem to work. Unfortunately I cannot go see the current exhibition in Lisbon because I am living in the UK, but I will certainly visit the blog!